The 2018/2019 Lincoln-Way Central Robotics club has grown this year, from just a few last year, to 28 this year. Made up of Seniors, Junior, Sophomores and Freshman, the talent pool has a lot to offer. The team is starting it’s second year, and is the only Robotics team between the 3 Lincoln-Way High Schools. For competition, the team has many milestones to meet. They need to build a robot, that fits in a specific dimension, that has both autonomous and drive modes, and will hopefully score some points on the course. The team most also document their designs with an engineering notebook and present these at the competitions. This is the clubs first year entering the First Tech Challenge. 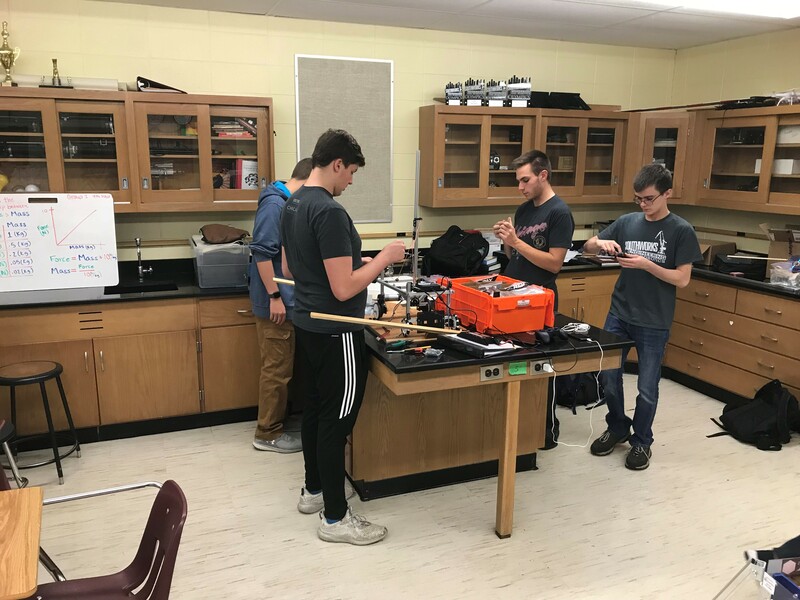 Quad Plus has donated supplies and tools as well as a Robot Kit and playing field so that the team can get some practice in and simulate an actual competition. The school may even be able to host future competitions because of this. Quad Plus has also been supporting the team with engineering assistance. The team has been meeting everyday after school to work on different aspects of the challenge, but Wednesdays are their official meeting days. Last Wednesday, Zack Galdes and Keith Schimick spent an hour with the team to help with design questions and robot construction. If you are interested in getting involved, contact Keith for more information. Quad Plus wished the Team luck and we are looking forward to the results of the first challenge.